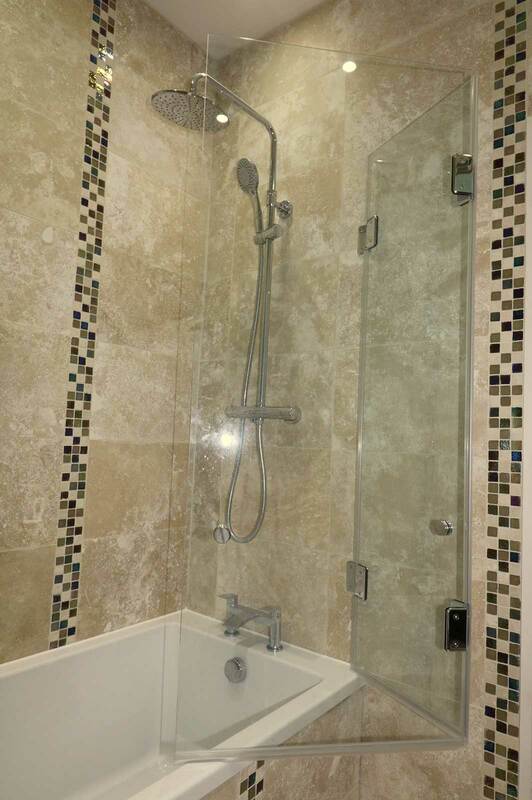 An innovative bath screen in a smaller space, Hove, East Sussex, Ion Glass working directly on behalf of the client. 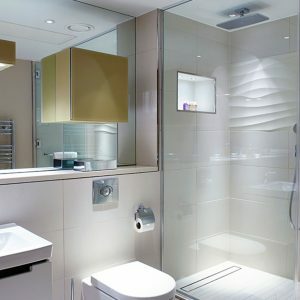 As part of an extensive penthouse renovation the client required a frameless glass folding bath-screen to maximise use of a small ensuite bathroom. 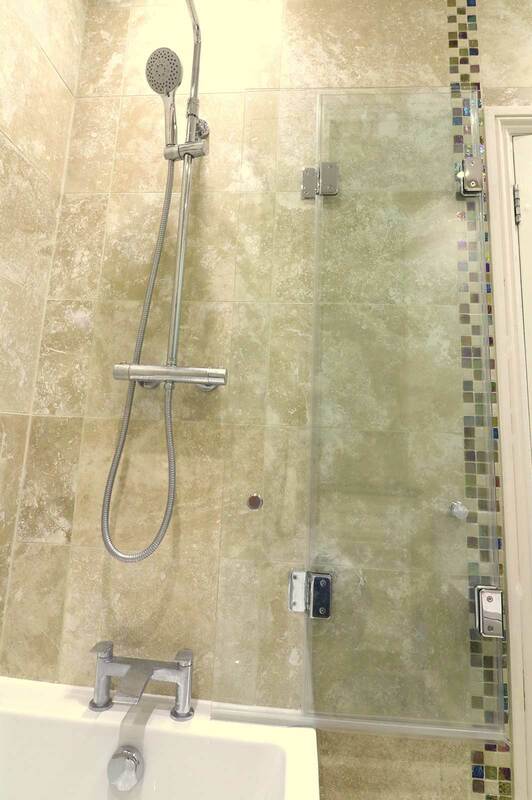 Ion Glass designed and installed an innovative new bi-fold glass bath-screen to meet their requirements. 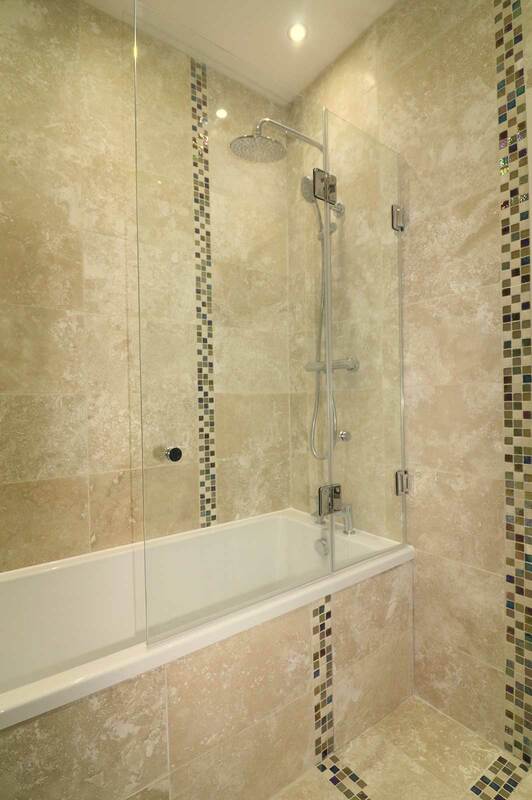 Ion installed a fully-frameless bi-fold glass bath screen, using gently sprung, self-centering hinges, against the wall and between the two glass panels. 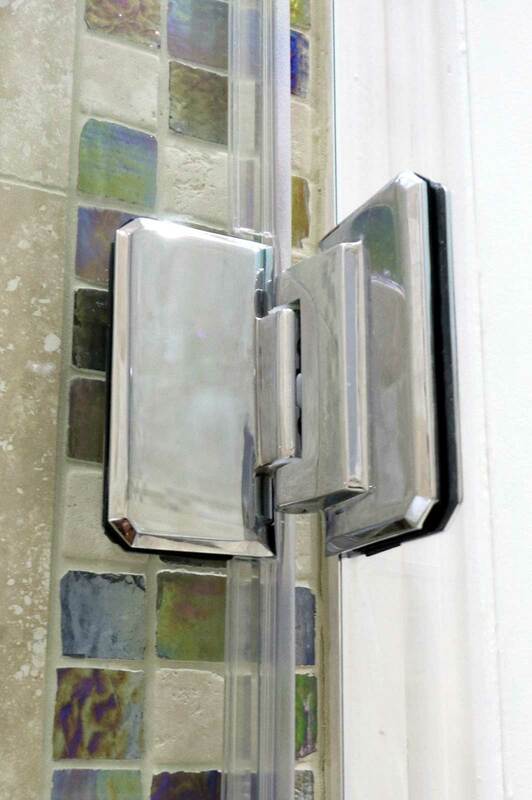 The springs assist with the correct opening of the bath screen which, when fully opened, creates a fully functional metre long screen along the side of the bath. When not in use, the screen folds completely flush to the wall, with the robust hinging system ensuring it stays in place.